On the 88th Saudi National Day, which falls on September 23, 2018, the General Entertainment Authority will be hosting a spectacular cultural performance in Riyadh. The Green Concert event is conceived by legendary French electronic musician JEAN-MICHEL JARRE. Jarre, as customary, is to enhance his live stage performance with his signature dazzling world-class 3D visuals and architectural lighting. The event is free and open to all Saudi public. The Green Concert performance aims to beautifully simulate the Kingdom’s future and portray the vision of HRH Crown Prince Mohammad bin Salman. Furthermore, it will symbolize environmental values and ambitions adopted by the Kingdom in regards to renewable energy and a better future for the planet.Jarre‘s central stage-set will be powered entirely by solar energy harvested from solar panels in a representation of such environmental conservation aspirations. Additionally, the show will serve as a bold statement of hope and development dedicated to ambitious Saudi youth eager to contribute to achieving a bright and promising future for their nation. Globally acclaimed Jean-Michel Jarre is a four-time Guinness world record holder for the largest concert-events ever performed, and is also a United Nations UNESCO Goodwill Ambassador for Environment and Education.Jarre has sold more than 80 million albums worldwide, and is renowned for his groundbreaking concerts performed at historical landmarks across the world. JEAN-MICHEL JARRE has been one of the pioneering forces throughout the electronic music scene over the last five decades, having originally made his name in the 1970s for his critically acclaimed album OXYGENE. OXYGENE was unmistakably a catalyst that set electronic music well on its way to becoming the behemoth that it is today, with JEAN-MICHEL’s music and follow through albums (Equinoxe, Magnetic Fields, Rendez-Vous, Chronology…) breaking down boundaries of composing and production paving the path for what has become today the most popular genre of music of all time. With over 80 million albums sold worldwide to date, musicians and contemporary DJs often refer to JARRE’s influence and innovation, not only for his music but also for his singular vision and creation of outdoor concerts experience. 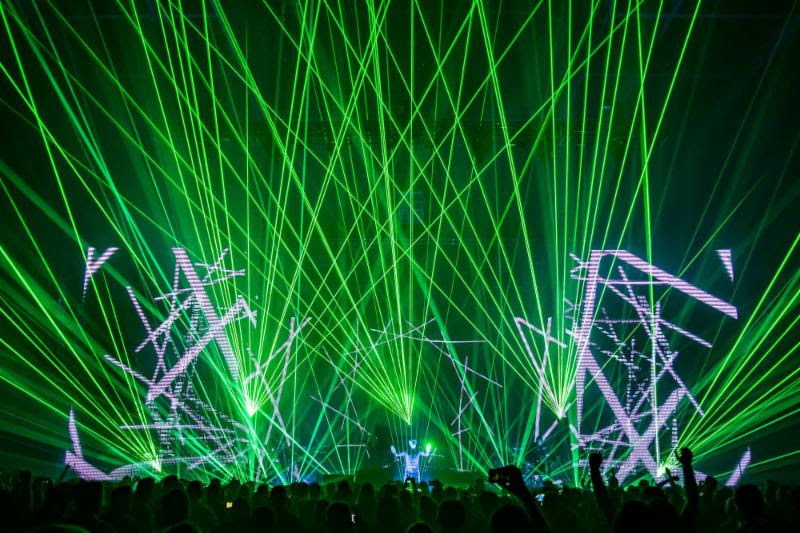 JEAN-MICHEL JARRE’s legendary concerts have attracted Guinness Record-breaking audiences, with his live shows, often, if not always, taking place in some of the most extraordinary settings worldwide. He was the first western musician ever to be invited to perform in post-Mao China, and has also played the likes of the Great Pyramids in Egypt, The Sahara Desert and The Eiffel Tower, in addition to perhaps his most famous performance ever, where he played to a record 3.5 million people in Moscow. All in all, JARRE has held Guinness World Records for the largest live audiences over the continents not withstanding his memorable one-off city-scale concert in Houston in 1986 for NASA’s 25th Anniversary and in a moving commemoration of the Challenger Mission to which over 1.3 million people gathered to share this groundbreaking show at the foot of Houston’s skyline. JEAN-MICHEL JARRE is synonymous with the legendary as he continues to break new ground with each piece of music and live performance.